Built for your tough every day needs, the Turtleback Fitted Radio Carry Holder for the Motorola APX 7000 is rock solid. It's durable, protective and it looks and feels great! The Holster is made with Dirt Resistant Thick Bonded Leather and is equipped with a Heavy Duty Hook and Loop Fastener Belt Loop Clip for ultimate Security and Function. This Holder is Manufactured in the USA and is engineered to do the last. The Ergonomic Design allows you to access your Device with Easy Release snaps. 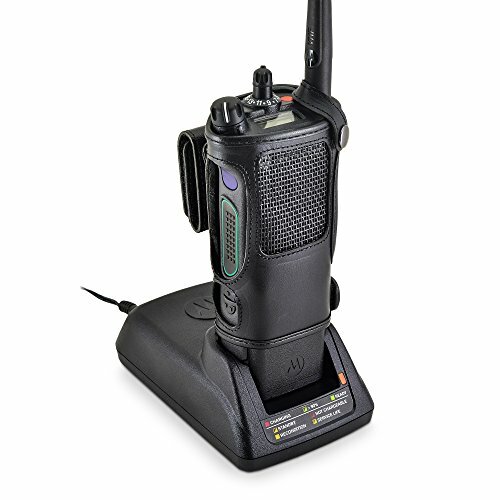 The push-to-talk, mic attachment and charging functions of your Motorola APX 7000 are still accessible while in the holder. HEAVY DUTY ROTATING BELT LOOP: Removable and Adjustable Bonded Leather Belt Loop is designed to tightly clip the radio case to your duty belt or utility belt, securing and protecting your device with every movement.